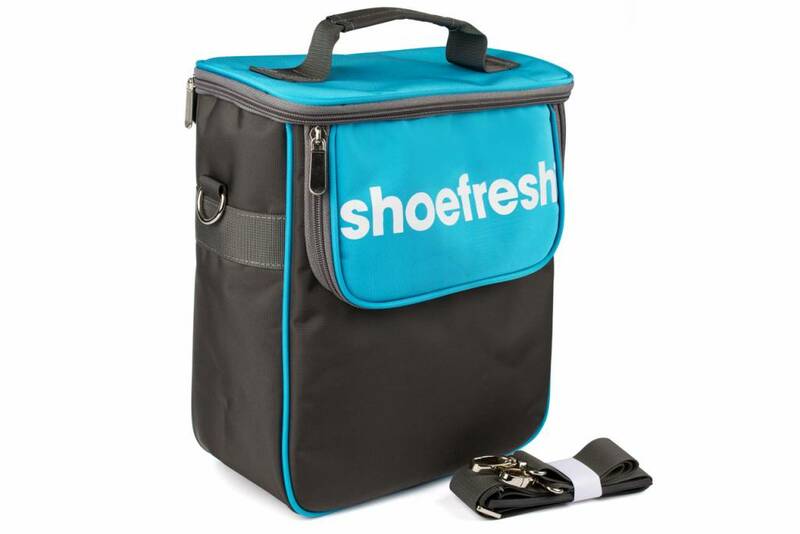 With the Shoefresh Shoulder Bag you can easily take the Shoefresh with you, for example on a vacation. This bag is also ideal for podiatrists. 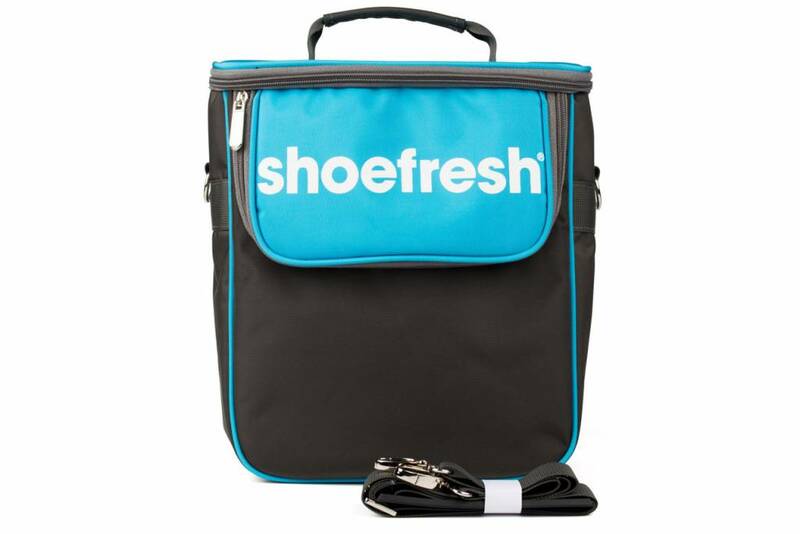 Thanks to the Shoefresh shoulder bag they can now also offer the extra service of cleaning and drying shoes at home. • Remove the shoe holders from the Shoefresh and put the base station in the large compartment of the bag. • Put both shoe holders into the small compartments of the bag (with the chip facing up).